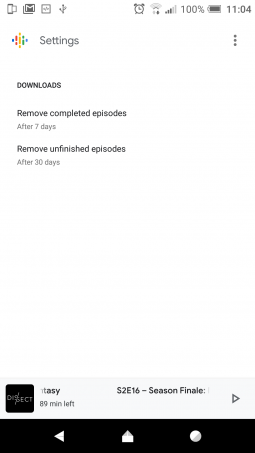 Home » Broadband » Google Introduces Podcasts App: Clean But A Bit Too Simple? 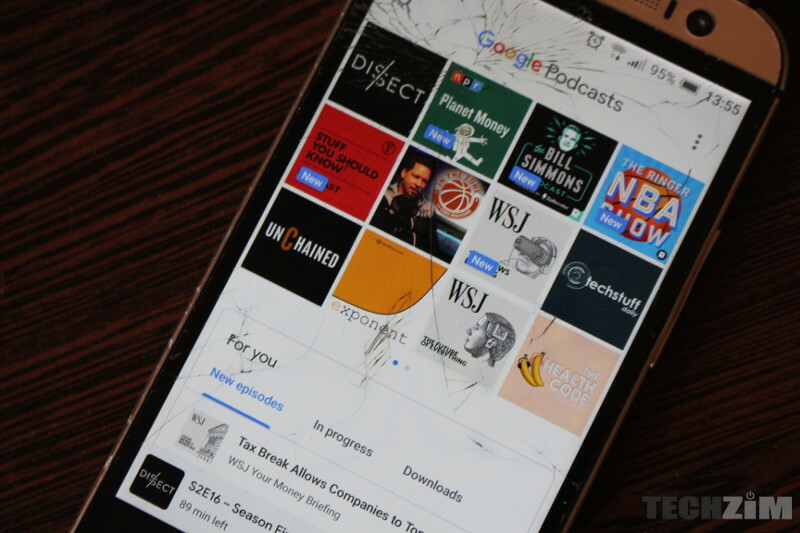 Google Introduces Podcasts App: Clean But A Bit Too Simple? I recently started listening to podcasts… I was convinced by a workmate to get into it and I must say I have found some very interesting content since I started. This was almost two months ago and the app I had been using to stream podcasts all along was Castbox. Google then decided to introduce it’s own podcasts application; Google Podcasts and I’ve been testing it over the past 3 days. One of the first things I noticed when I started using the new podcasts application was how different it is from the Castbox app. Google Podcasts is very clean but I think it’s actually too clean. The user interface is overly simplified to the point where it is actually barebones. Compared to Castbox and it’s myriad of settings where you can even optimize data usage, link to twitter or facebook, shift to a dark theme and define how notifications work it’s clear that Google Podcasts is way too simple for it’s own good. The categories are not clearly defined and for users to discover new podcasts they have to actually keep scrolling which is something I actually discovered by mistake when I realised the app employs an infinite scroll mechanism. It’s a weird design choice and I’m not sure if this is the best implementation they could have gone for. In terms of the podcast selection it seems they have a large majority of podcasts. I managed to find all but one of the 13 podcasts I was following on Castbox and that podcast was last updated a while ago so that may be the reason behind it’s absence. In a conversation in one of the Techzim groups someone made reference to ‘Sadza In The Morning’ in the morning and they were wondering if it would be on the app. 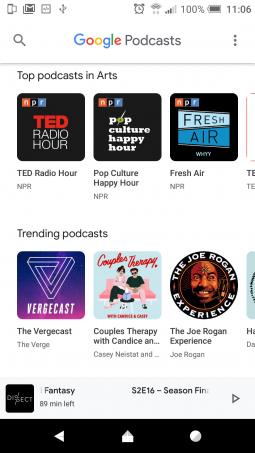 It is indeed on the app, and I’m not sure how exactly Google is gathering the podcasts but it seems they have an extensive selection. 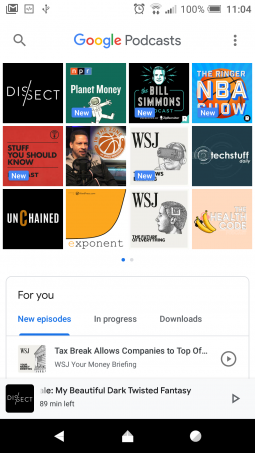 Ultimately, I think it boils down to whether or not you’re a fan of Google’s material deisgn and the simplistic user experience offered by Google Podcasts. If you don’t mind sacrificing some control then you’ll be satisfied but if you want to optimise the experience you will have to look elsewhere as this doesn’t enough customisation options. Google Podcasts isn’t really a stand alone app but a short cut to the podcasts section on the Google app itself. Simple, clean, intuitive UI though, it could use more features. With the push Google has been giving lately to make YouTube Music the default music streaming service, I’m kind of surprised this isn’t a feature baked into YouTube Music.